1 Peel apple, cut into quarters, remove the core and chop the flesh. 2 Cook apple 3 tablespoons water in a small pot, covered, over medium heat until soft, about 5 minutes. 3 Meanwhile, put the oats in a small bowl, mix with the apple juice and let soak briefly. 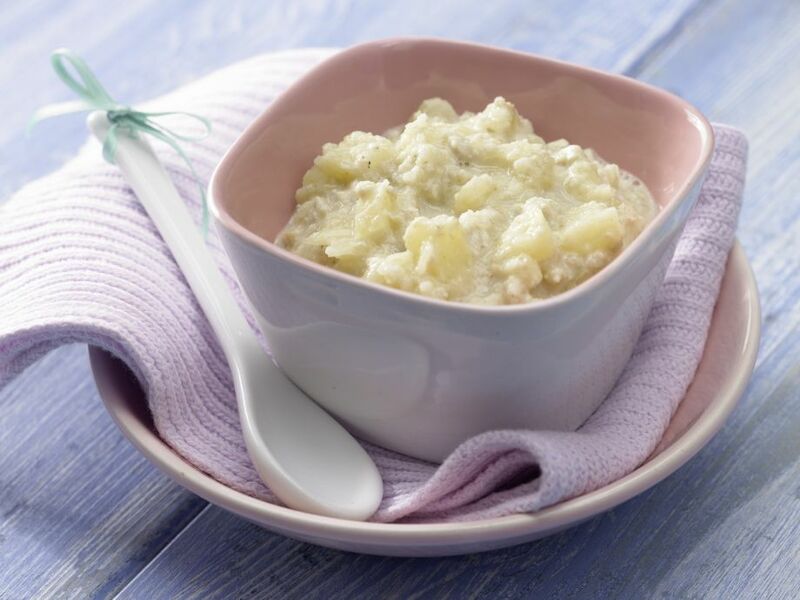 4 Mash the soft-boiled apple with a fork and stir with the oil into the oats. 5 Add as much boiling water as needed to achieve desired consistency. Allow to cool before feeding.